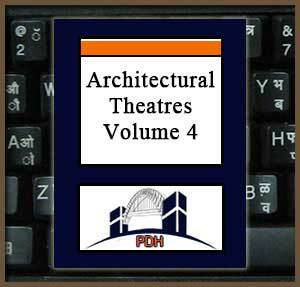 This publication provides an introduction to certain aspects of the architectural design of theatres and concert halls. This volume discusses theatre lighting, scenery and soft goods, and rigging and stage mechanisms. Topics discussed include audience access, functional parameters, life safety and accident prevention, scenery placement, horizontal and vertical movement, HVAC systems and illumination. This publication is one of four in this series dealing with different aspects of the architectural design of concert halls and theatres. Learn about the installation and operation of stage curtains. This course will give architects and engineers an introduction to lighting, scenery, soft goods and rigging considerations in theatre and concert hall design. This course will give you professional tools that will help you address rigging, scenery and lighting systems in concert hall and theatre design.